Six years ago, Chilean filmmaker Sebastian Lelio released a vibrant and unapologetic look at aging and living with his magnificent Gloria. 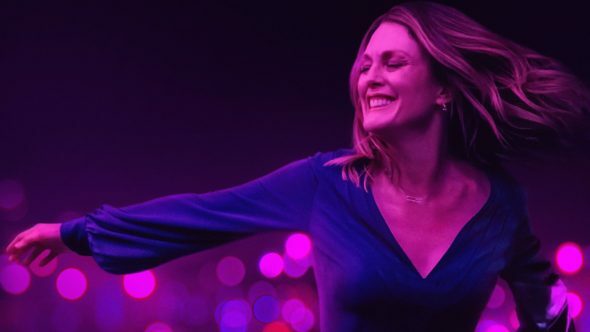 He re-images that gem with Gloria Bell, his second English language film, placing the incomparable Julianne Moore at the center of a different kind of coming of age story. Moore is Gloria, a single fiftysomething who’s starting to feel her mortality. The film itself is a character study of the type Lelio does best. His films nearly always focus unflinchingly on the struggles of a woman trying to live freely and authentically. As with his Oscar-winning A Fantastic Woman, his underappreciated Disobedience, and the original Gloria, Lelio’s observational and unobtrusive direction trusts the lead to carry the weight of the film. Moore characteristically rises to the occasion. In Moore’s hands Gloria is perhaps a tad more reserved, a little more tentative than the firebrand depicted by Paulina Garcia in the original, but she’s no less wonderful. As Gloria struggles between the freedom and the loneliness of independence, and as she comes to terms with her own mortality, Moore’s tenderness and vulnerability will melt you and her sudden bursts of ferocity will delight. John Turturro offers impeccable support as Gloria’s love interest. The performance is slippery and unsettlingly believable. He’s joined by strong ensemble work from Michael Cera, Brad Garrett, Alanna Ubach and Holland Taylor, each of whom delivers the spark of authenticity despite limited screen time. But make no mistake, Gloria Bell is Moore’s film. Is this just another in a string of brilliant performances, one more piece of evidence to support Moore’s position among the strongest actors of her generation? No. Gloria Bell is a beautiful film, one that fearlessly affirms the potency of an individual woman, one that recognizes the merit of her story.